Fan fic is a time honored tradition among the ardent enthusiasts who just can’t stop telling stories about their favorite characters and universes. We here at Strangely Literal can’t get enough of it either. 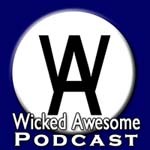 Each podcast we bring you a story or stories from Buffy, Angel, Firefly or another Jossverse in an attempt to satisfy your need for more stories. Hosted by Tabz. A Buffy the Vampire Slayer podcast that looks at a variety of aspects about the show. The place where being a fan means something. Episodes include “How I Got into Buffy” stories, trivia, theme/meta discussions, character discussions and guest fans. Hosted by AthenaMuze. A 70+ minute podcast all about Joss Whedon’s sci-fi cult hits Firefly and Serenity. Hosted by Eric Olsen and Miranda Thomas. “Slice of SciFi” originally began as the voice of the SAVE ENTERPRISE campaign of Spring 2005, when loyal Star Trek fans rallied to the cause of saving a canceled “Star Trek: Enterprise” series, and garner it a previously highly-anticipated 5th season. When that campaign fell on deaf Paramount ears, despite its success in generating fan support and unprecedented fan funding, “Slice of SciFi” continued to support the Star Trek fan base that had given it it’s starting point, but branched out into the wider arena of science fiction, fantasy and horror media: television, film, comics, and new media such as fan films, audio dramas, online animated comics and more. Sketch comedy, video, comedy news, media reviews, commentaries from industry insiders and more. The Signal is an award winning podcast, winner of the 2006 People’s Choice Podcast Award in the categories “Movies and Films” and “Best Produced”. 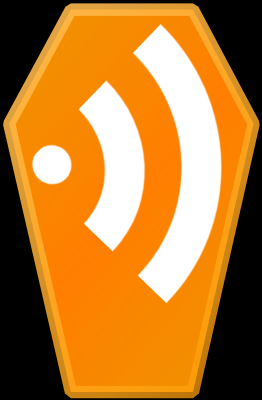 In addition, the Signal was also a finalist for the 2006 Parsec Awards in the categories “Best Fan Podcast” and “Best Audio Production”, and for the 2007 Parsec Awards in the category “Best Fan Podcast”. We cover the show Farscape and it’s fandom. Urban Fantasy podcast for readers and writers. Plus the feed for my own upcoming Podcast Novel, Guardians. Geek Pantheon invites you to Broaden Your Geek Horizons – Don’t Enter Your Battle of Wits Unarmed. We explore the evil anti-geek conspiracy and bring you ways to protect yourself. Find out about things like Econ-Zilla, pirates, and cookies, and listen to some familiar voices talk about issues that you don’t hear anywhere else. Sponsored by the SSDWC, the Secret Society for Delayed World Conquest. A look into the dark world of Podcasting. Each week, I interview podcasters who I feel have influenced the Podcasting community. Squint Squad is a podcast about the Fox television show Bones, now in its fourth season. Squint Squad brings listeners their insights into the latest episodes, giving it a lot of thought to the dynamics of, not only the case, but the character interactions. 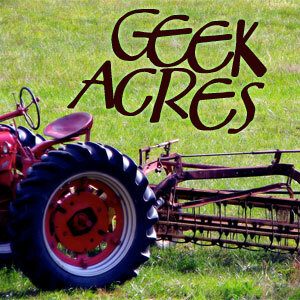 Geek Acres is all about fortuitous finds from a forty-something geek, husband, and dad. Each week Doug Rapson shares his latest geeky passion and asks you to do the same. OutOfTheCoffin.com is the podcast to find out what’s lurking in the darkness waiting for you. We discuss vampires in fiction, folklore, pop culture, sub-culture, and the vampyres who live next door. Come out, come out, wherever you are… and listen today! Future Traditions is a hub of discussion, interviews, and fanfiction, centered around the post-apocalyptic drama, Jericho. 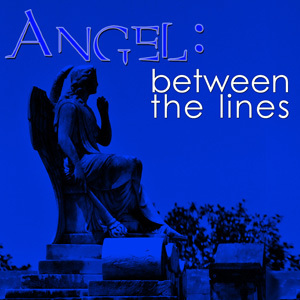 JT brings the best in Indie Christian Music as well as a few surprises. We’re just 2 guys talking about movies, video games, TV, and other random bs that comes to mind. 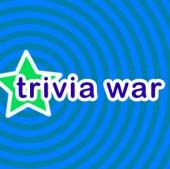 A weekly quiz show about popular movies and television shows. A podcast that’s dedicated to NBC’s Chuck. How to Grow Your Geek or HTGYG for short, is a podcast created to share a love of geeking and parenting, and to provide advice on how to combine the two. There will be reviews of movies, board games, books, television shows and video games on their fun value as well as their family appropriateness, and discussions of geeky topics and parent issues. Fanfic from the livejournal community of Nekid_Spike! Knights of the Guild is The Official Fan Podcast for the webseries The Guild. The Guild was created by the one and only Felicia Day and is about six online gamers and their interaction online as well as offline. Jenni and I worked on season two and wanted to share our experience as fans working on this hit show. Will have up to date info about season three, behind the scene information about season two, will also have cast, crew and fan interviews, will keep you up to date on what the cast and crew are up too and so much more. If you ever wanted to know what happens behind the scenes of a successful webseries then take a listen to Knights of the Guild. Listen to our promo.